A Strong Summer Season for Homes at Tuhaye? So far this year, 5 homes at Tuhaye have sold. We listed a Tuhaye home last week, and it went under contract within a week! It's no secret that the market for vacant land has been harder hit than the markets for homes and condos in the greater Park City, Utah area. 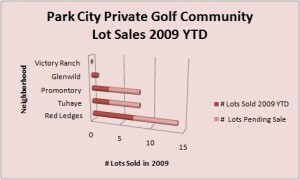 But one luxury golf neighborhood is experiencing more sales activity than the others...Red Ledges. The original developers of Promontory--Arizona-based Pivotal Group--tendered a $70 million bid at the April 15 bankruptcy auction, stepped back in, and were able to re-purchase the controlling interest in the project for pennies on the dollar. 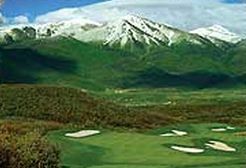 This is an update to our previous post about Promontory's Private golf community in Park City, Utah. News Flash: not all developers are teetering on the edge of bankruptcy. Following his second place finish at The Masters, Tiger Woods underwent successful arthroscopic surgery on his left knee. Note: Looks like we spoke too soon! 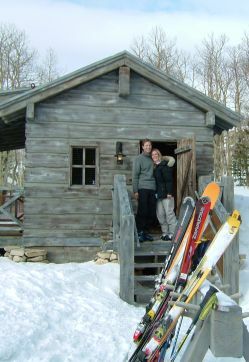 Here is a Promontory Update from February 24, 2009. Kudos to Credit Suisse for Playing Their Hand Right! 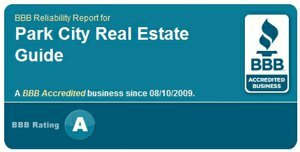 In the volatile world of real estate development, developers and their financial backers invariably face-off.